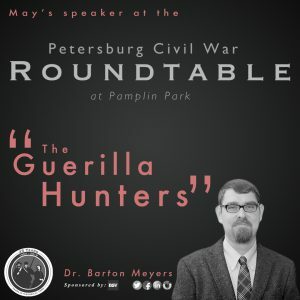 Join this month’s guest speaker Barton Meyers, Associate Professor of History at Washington and Lee University as he talks about “The Guerrilla Hunters”. Dr. Myers completed his M.A. and Ph.D. in History at the University of Georgia and was the Miller Postdoctoral Fellow in Military History 2009-10 at Cornell. 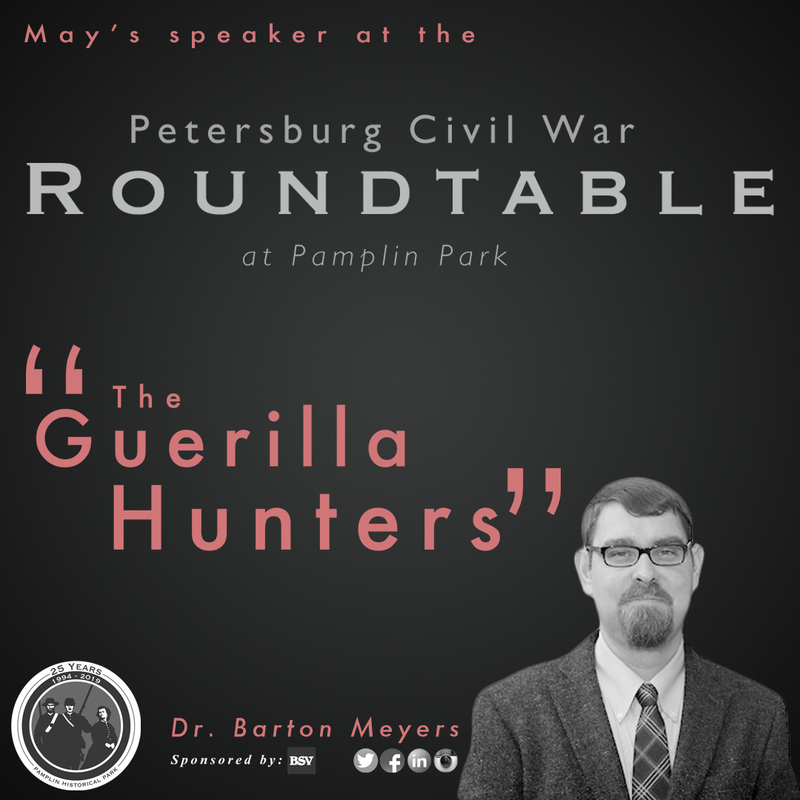 Myers is the author of the award-winning Executing Daniel Bright: Race, Loyalty, and Guerrilla Violence in a Coastal Carolina Community, 1861-1865, Rebels against the Confederacy: North Carolina’s Unionists and The guerrilla hunters: Irregular conflicts during the Civil War . Dr. Myers is a recipient of prestigious grants and fellowships from the Harry Frank Guggenheim Foundation, the Andrew W. Mellon Foundation, the Marine Corps Historical Center, the Filson Historical Society, the Virginia Historical Society, and the Jack Miller Center for Teaching America’s Founding Principles and History.